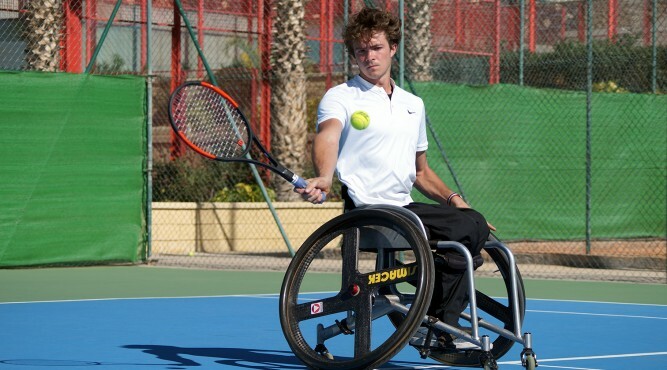 Martin Legner saw everything in wheelchair tennis. In the last three decades the Austrian won more than 300 tournaments on the ATP-Series. He played on the holy green on center court in Wimbledon. The athlete from Tirol participated at seven Paralympics. “It’s impressive to see the development of this sport. After so many years and tournaments I’m starting to enjoy the competitions, now”, says Legner. 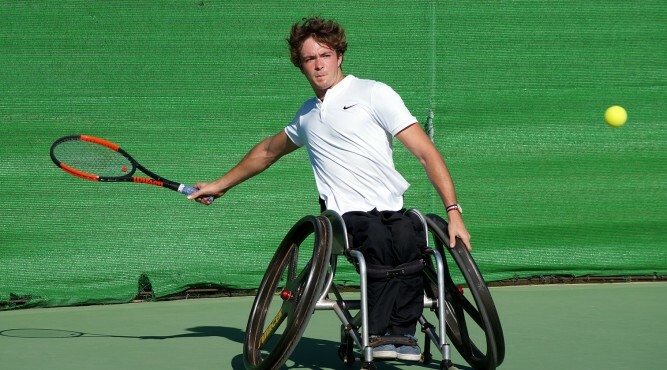 Whereas the former number three of the world collected many trophies already, another member of the Austrian wheelchair tennis national team is at the beginning of his way. Nico Langmann, who visited Tenerife Top Training together with Legner and six other athletes, is a part of the new generation of disabled sports in Austria. The 19 years old player is Austria’s number one and focused on his goal – The participation at Grand Slams. 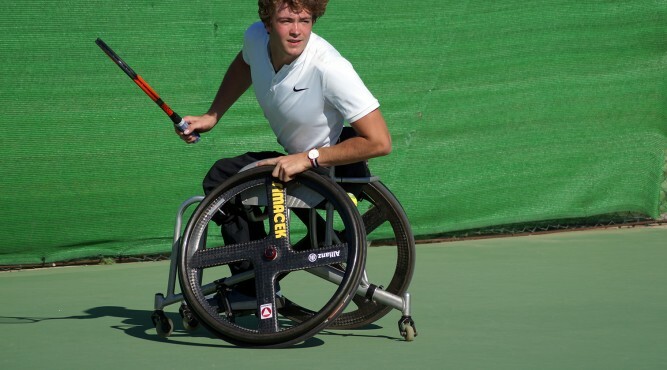 “Wheelchair tennis is the most developed disabled sport. We compete on the same time, at the same location like the professionals. In Rome I played on the court next to Raphael Nadal and had Roger Federer’s locker room”, says Langmann with a smile on his face. The Austrian lived one dream already. In Rio de Janeiro the tennis player competed at his first Paralympics. “The games were fantastic! During these weeks my family and friends, who traveled especially for my games from Austria to Brazil, supported me. Even though I wasn’t happy with my performance, the time in Rio was unique”, says Langmann. Therefore the 19 years old, who became a member of the Austrian army after the Paralympics, focuses on his way to Tokyo 2020. The Austrian wheelchair tennis national team visited T3 to get the best preparation for the post-Olympic season. The eight players used the courts at the center and the versatile facilities to improve their performance. 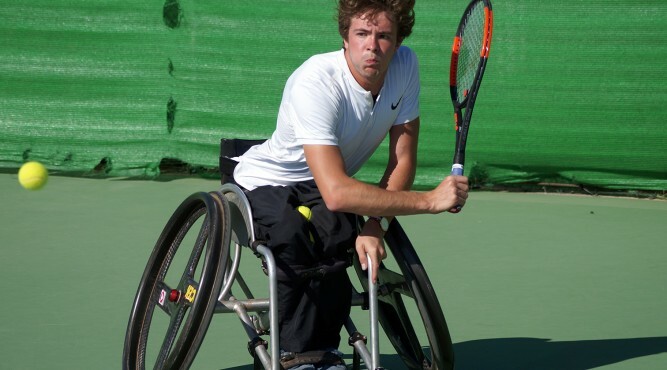 “Wheelchair tennis is a very challenging sport. It’s the combination of coordination, strength, technique and rapidity. Therefore the requirements in practice are tough”, explains Langmann. Head coach Odo Kada and Patrick Iskrac managed the two practices a day. During the time on the court, the players worked on their technique and tactical skills. The Spanish foundation Step by Step completed the training program. The team, which is specialized on the work with disabled people, supported the athletes with a program in the gym at Tenerife Top Training. The Austrians made important motoric exercises and got useful assistances for their practice at home. 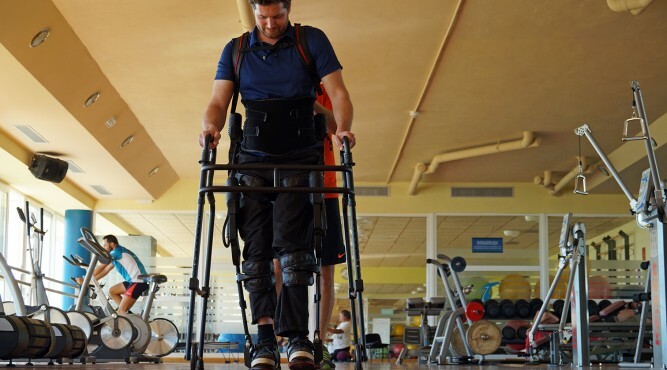 In addition Step by Step gave them the possibility to use an EKSO skeleton. 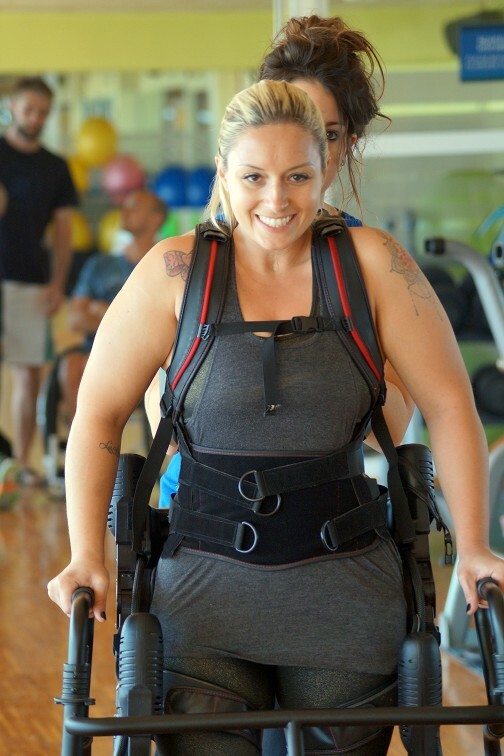 People who are sitting in a wheelchair can walk and do sensorial exercises with an EKSO skeleton. Step by Step is one of the few foundations who can offer this practice in Europe. “Step by Step’s exercises were brilliant”, says Nico Langmann. 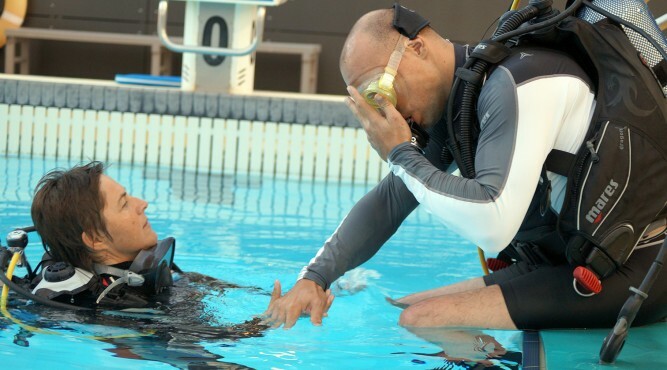 Furthermore the El Alma Rie European Diving Academy enabled the athletes to make special experiences underwater. Divining Coach Henning Fahrenholz and Petra Pfeiffer had a session with four athletes in the Pool. 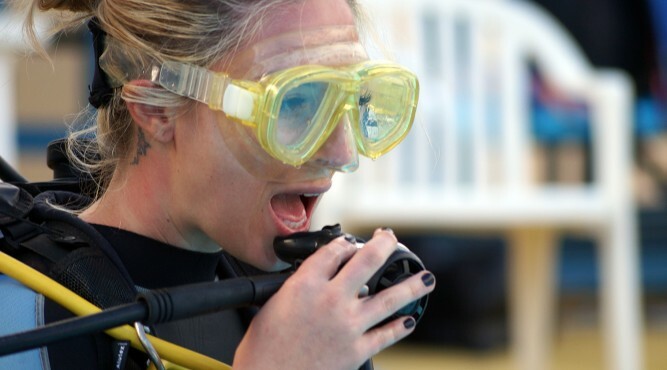 During the time under the surface the players collected diving experiences and learned the ABC of diving. On day after this, the team went in the Atlantic. “The time with the athletes was a special experience. They had a very good feeling of their body in the water. Hence we had an impressive freedom to dive”, explains Fahrenholz, who is specialized on the work with disabled people. 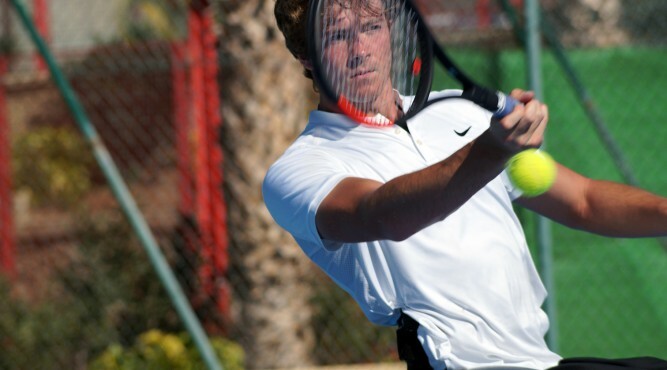 Nico Langmann had a perfect preparation for his season at Tenerife Top Training. “The possibilities were excellent! I could use every day perfectly”, says the 19 years old athlete. He looks forward to continue his way on the ATP-Series. In the following months he will try to collect points to improve his position in the world ranking. The current number 31 wants to reach the top eight to get a place in the Grand Slams of tennis. After that Nico Langmann would have the chance to play on the holy green on center court in Wimbledon.